Brix Sans is a sans-serif typeface designed by Hannes von Döhren and Livius Dietzel. It was released through HVD Fonts in 2014. The design works as the sans-serif companion to Brix Slab, a slab-serif von Döhren and Dietzel created in 2011. 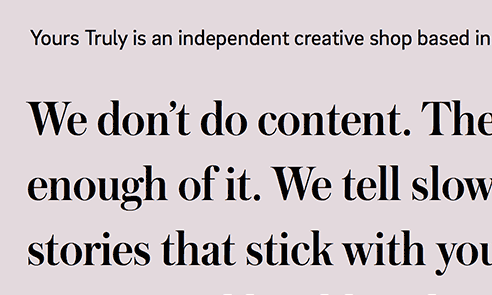 Compared to von Döhren’s ubiquitous Brandon Grotesque, Brix Sans doesn’t seem to be used much on the web. The family is available in six weights—extralight, light, regular, medium, bold and black—each with matching italics.